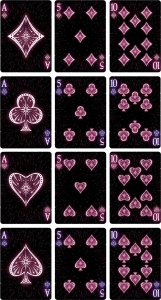 When a playing cards design works, the companies that produce it try different color variations to satisfy their fans. 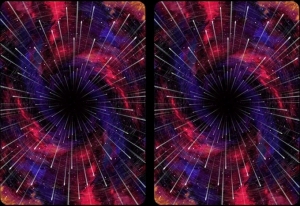 Sometimes the variations are a bit boring but other they are quite different. 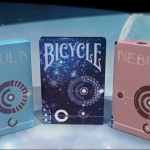 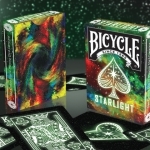 This is the case of the BICYCLE STARLIGHT SHOOTING STAR deck. 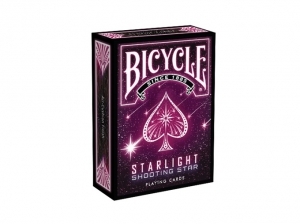 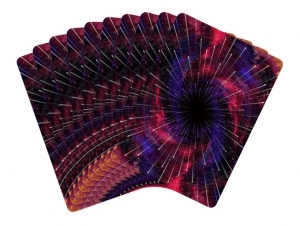 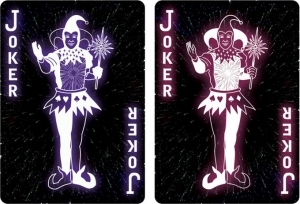 After the success of Starlight and Starlight Black Hole, Collectable Playing Cards produces this third edition with a new combination in pink and purple for faces and a new explosion of colors in the back to create the usual spectacular fans. 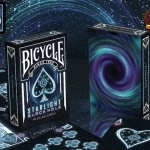 A Bicycle branded deck that will be printed by the USPCC and that comes with its previous editions in case you missed any of them. 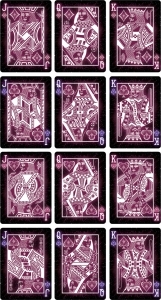 You can raise your pledge in the project website and get them all.